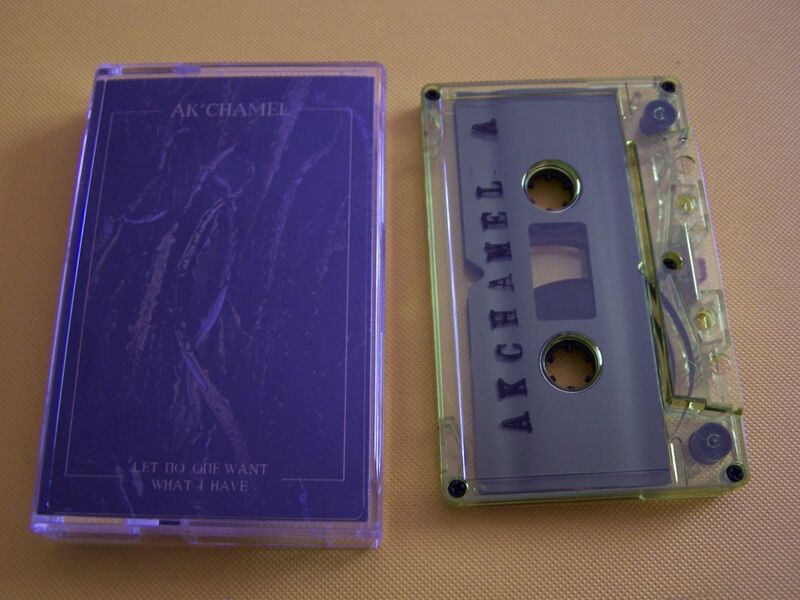 The more I listen to Ak'chamel the more that I like them. Whenever I listen to an artist I've reviewed before I always try to go through the site and see how many times I've written about them already. While reviews are thankfully archived in a nice manner for both the reader and myself, I also like to just put the name into my Blogger's search box and see what comes up. 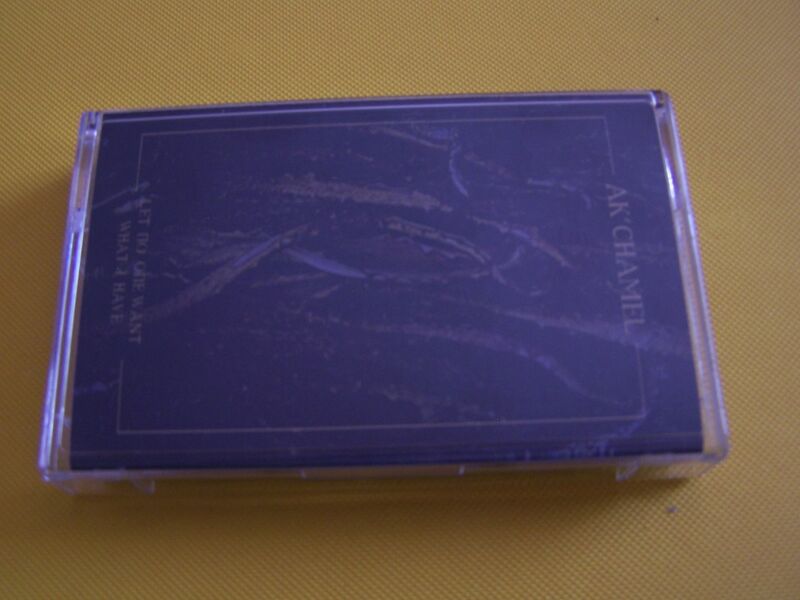 Which is funny because while I have two cassette reviews already archived for Ak'chamel, my searching for them via Blogger's methods return zero results. I also tried to enter several variations to see if maybe it'd recognize it without the apostrophe and a space instead or maybe no space but, yeah, according to Blogger, Ak'chamel is apparently a ghost. Electro-ish guitar loops begin "Let No One Want What I Have"- which I still can't decide if it is a selfish request or plea for mercy- and there is this sort of chanting/breathing pattern which could easily be a mantra. There is a buzzing/humming sound which brings about a sitar. The music sounds ambient overall here but there is also this tribal/jungle rhythm to it. This takes us into another song which has a Tom Waits waltz feel to it. Though I cannot place quite why exactly this makes me feel as if I am in a swamp. Old radio synth sounding swirls/whirrs come out as well and then the guitars begin to rattle with some sharpness accompanying them. 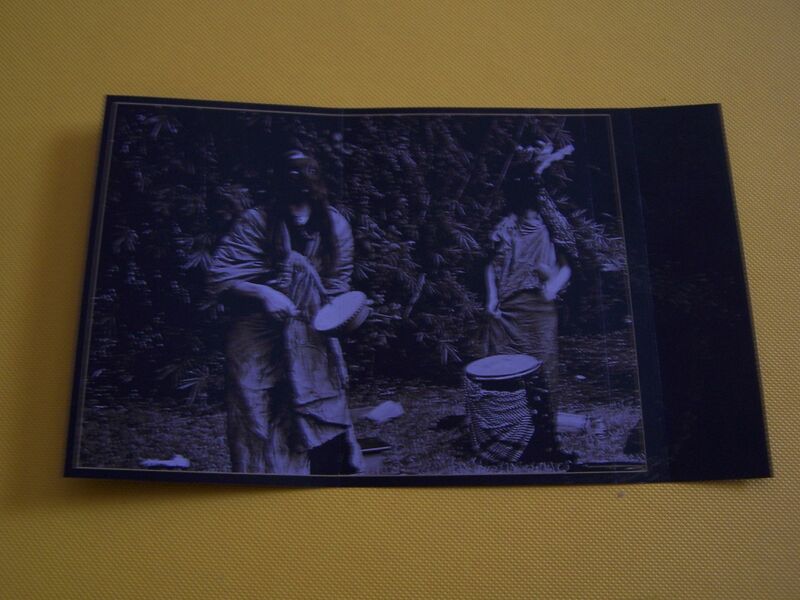 As it remains ambient a jaw harp can be heard (I believe, or at least it sounds like one) and this is also not to be confused with the sounds of toads croaking. On the flip side we begin with back and forth acoustic strings plucked and it somehow reminds me of a clock ticking as well. There is some static hidden in the background of this all, but this pattern continues in a loop for quite some time. The particular way the strings are plucked does remind me of that one Gotye song everyone knows, but alas, that is where that comparison ends. 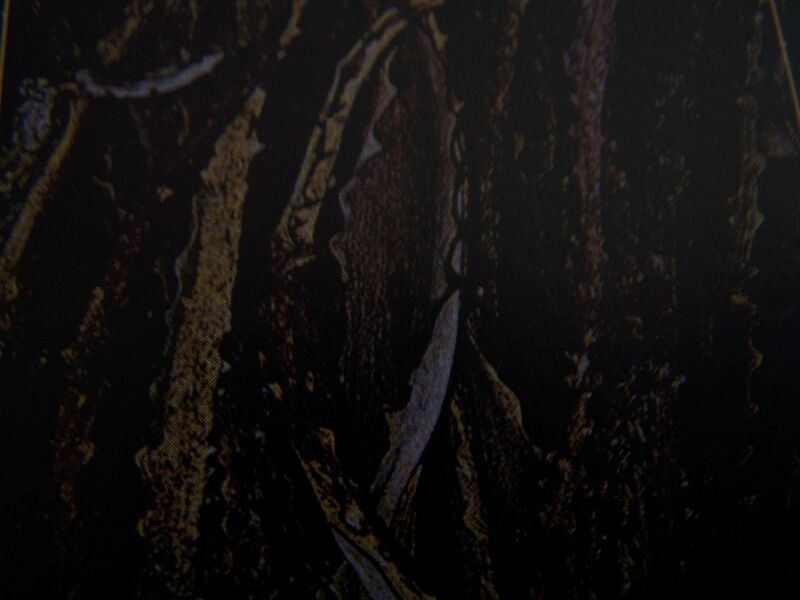 It has a nice rhythm to it overall and remains steady until some crackling static brings it to an end. 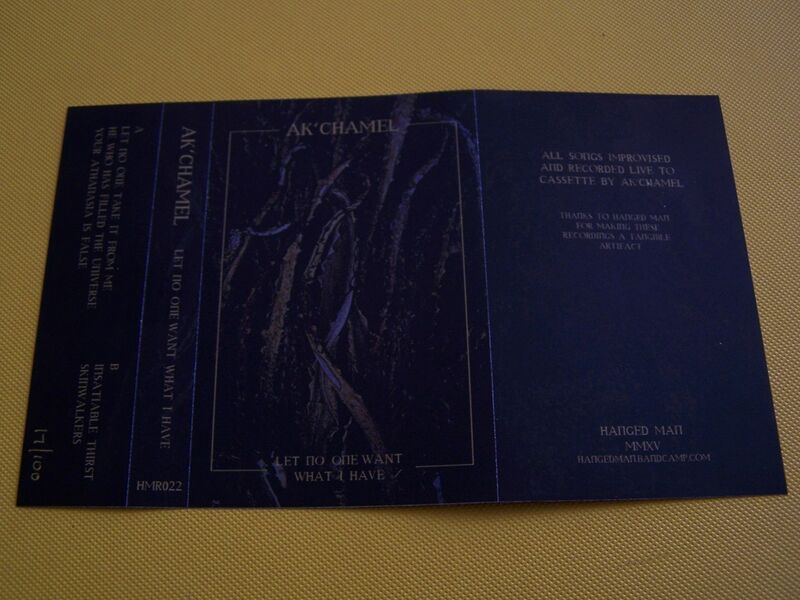 Cello strings come out next, which make me think of being underwater and through some rattling comes some howling to end this cassette in such a way that truly helps you discover the raw, primal nature of Ak'chamel. 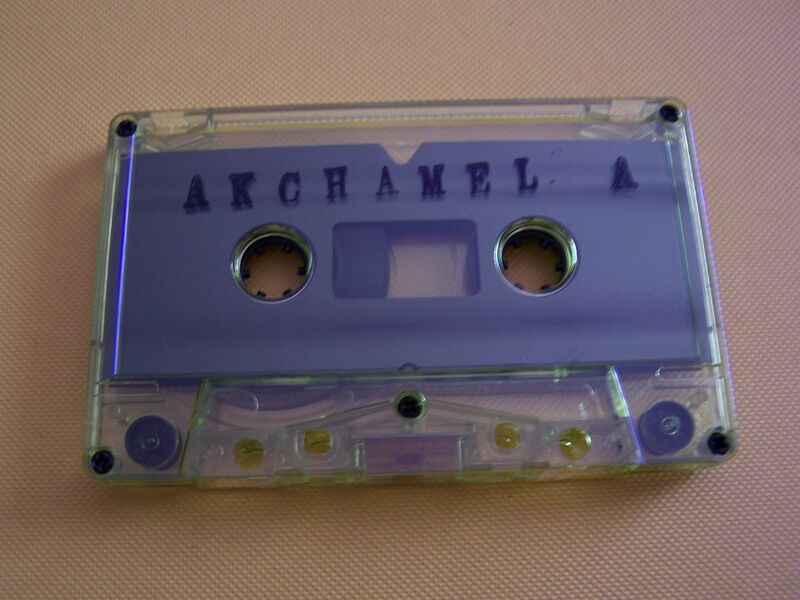 If someone was to ask me how many times I've listened to Ak'Chamel or how many of their cassettes I have the answer would be simple: not enough. 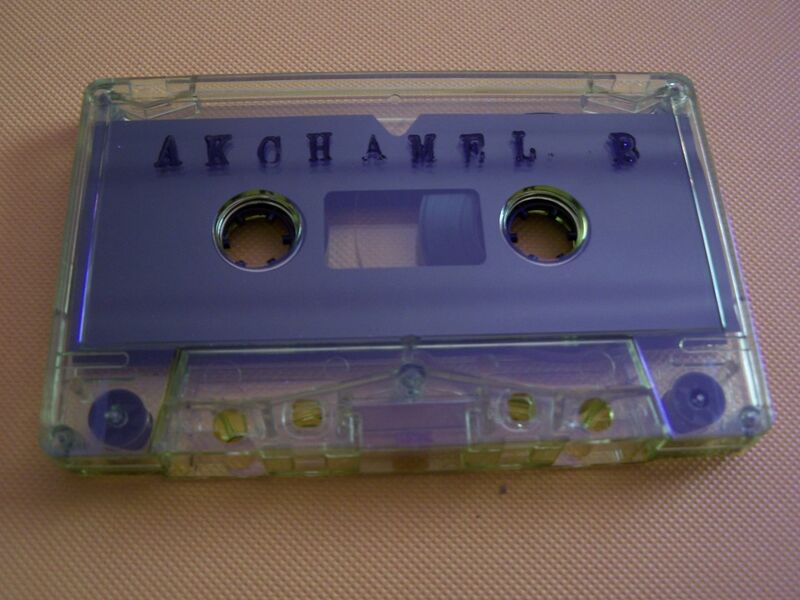 No matter how many times I listen to something by Ak'chamel it only seems to get better. And that's not just saying that their newest cassette is better than the last- though that does seem to hold true as well- it is simply that if you listen to this cassette a second time you should enjoy it more than your first and every time thereafter it just keeps getting better and better which could leave you listening to this and only this for a very long time. And with that, I am fine.